Flags that indicate gale and hurricane warnings. 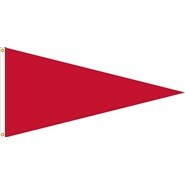 This Gale Pennant is made of nylon. It is finished with white canvas heading and brass grommets. 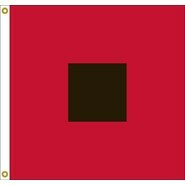 This Hurricane Flag is made of nylon. It is finished with white canvas heading and brass grommets.